We are delighted to be taking part in Art Week Exeter this year. 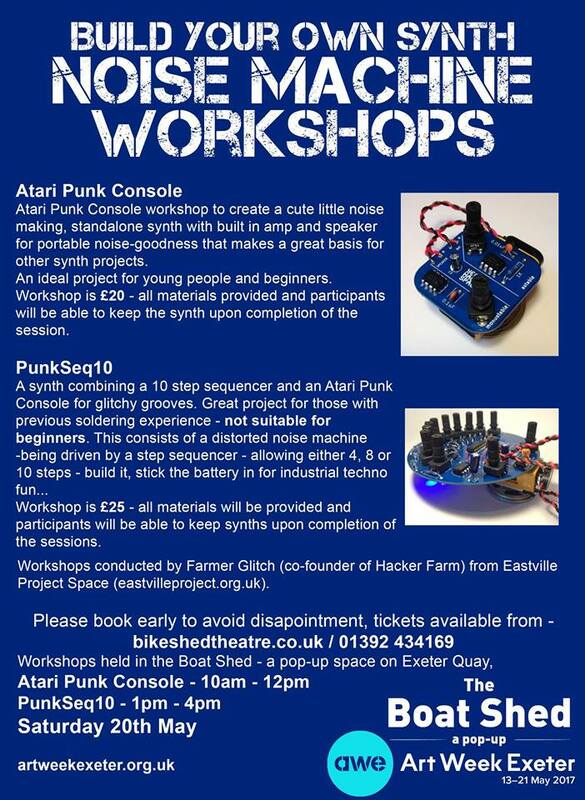 Come to see a display of ‘noise machines’ and join a workshop to build stand-alone synths, that can be kept at the end of each session. Suitable for ages 10 and above.